This work contains weird, wild and just plain gross questions and answers inspired by Richard Hammond's TV series "Blast Lab". Your child will have a fantastic time finding out all sorts of amazing answers to extraordinary questions of the like posed to Richard Hammond and his Blast Lab boffins. Do fish drink water? Why does your leg fall asleep? Do insects fart? Where does all the sand in the Sahara come from? Why is there no gravity in space? How big is a lightning bolt? How fast can a snail actually move? Why do people have red eyes in photographs taken with a flash? Has it ever rained frogs? Why does popcorn pop? Why do we hiccup? Find the answers to all these questions and much much more. 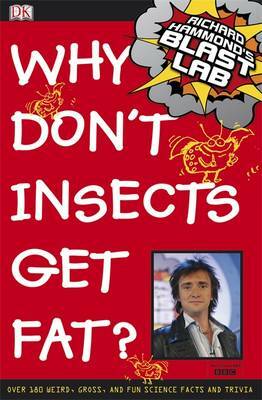 If your child has a question, Richard Hammond and Blast Lab have probably got the answers in this hilarious fact-packed guide.